How I Went From SL to APL in 7 months - My Old Regimen! 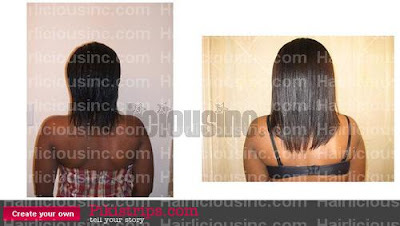 - Hairlicious Inc.
How I Went From SL to APL in 7 months - My Old Regimen! "What was your regimen that made you get from shoulder length to arm pit length?" I get this question frequently so it's better that I answer it in a blog post. It took me 7 months (October 2007 - May 2008) to get from shoulder length to arm pit length. My regimen was pretty simple, however I used way more products back then. I shampooed and deep conditioned with heat & oils every 3-4 days (Mondays and Thursdays). My deep conditioners were always moisture based mixed with oils & honey since my hair was moisture deprived at the time. I did my protein treatments 1x/month. I air dried 99% of the time, moisturized & sealed twice a day, put my hair in a bun daily, and co-washed maybe once a week. 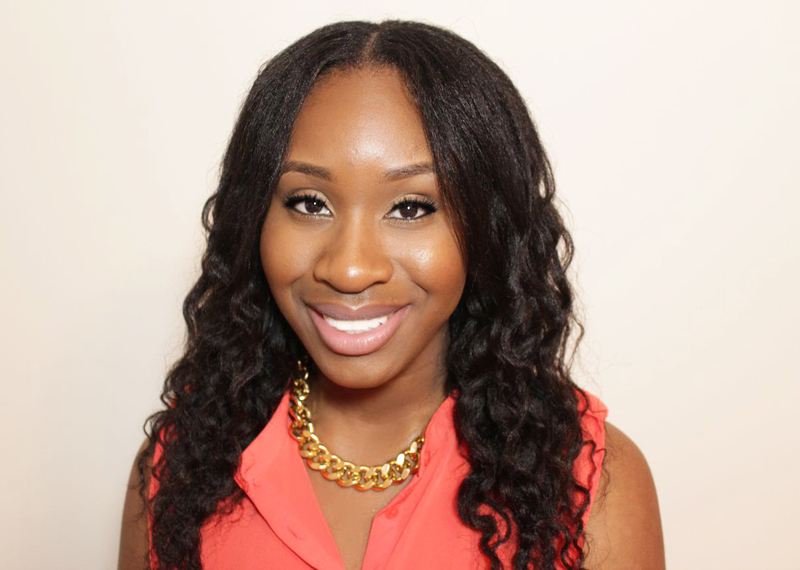 Overall, I did more moisture over protein, which helped me retain a lot of length and prevent breakage. 3. Doing the scarf method to lay down my new growth in the front while stretching. Tip: As you carry on in your journey, your hair needs will begin to change. What worked back then wasn't going to get me to BSL because the extra moisture was thinning out my ends - so changes had to be made. Going from APL to BSL, my hair required more protein, less shampoo and less products. Be open to making changes in your hair regimen so that your hair will continue to progress allowing you to reach your hair goals quicker. 1. Wouldn't shampooing so often strip the hair of natural oils, and be counter productive to retaining moisture? Could shampooing be replace with co-washing? 2. How often did you baggy overnight? And did baggying overnight make your hair mushy? Making sure the hair is not dry & brittle is important. Thanks for these tips. How do you know when to transition to using less products and more protein? 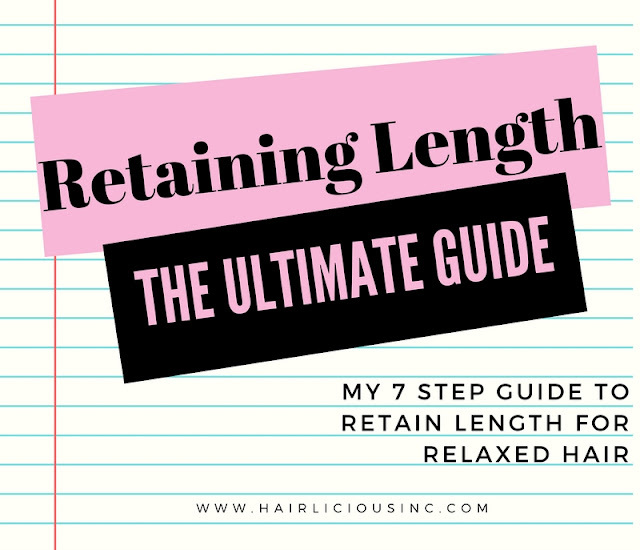 In other words, how long should your hair be before you change your hair regimen? I'm at APL now trying to get to BSL. I have noticed that my hair seems to be craving more protein. Did you have a problem with shedding once you got to this point? I can't tell if I am losing more hair or if it seems like more because the hairs are longer now. @ Alisha - 1. Wouldn't shampooing so often strip the hair of natural oils, and be counter productive to retaining moisture? Could shampooing be replace with co-washing? 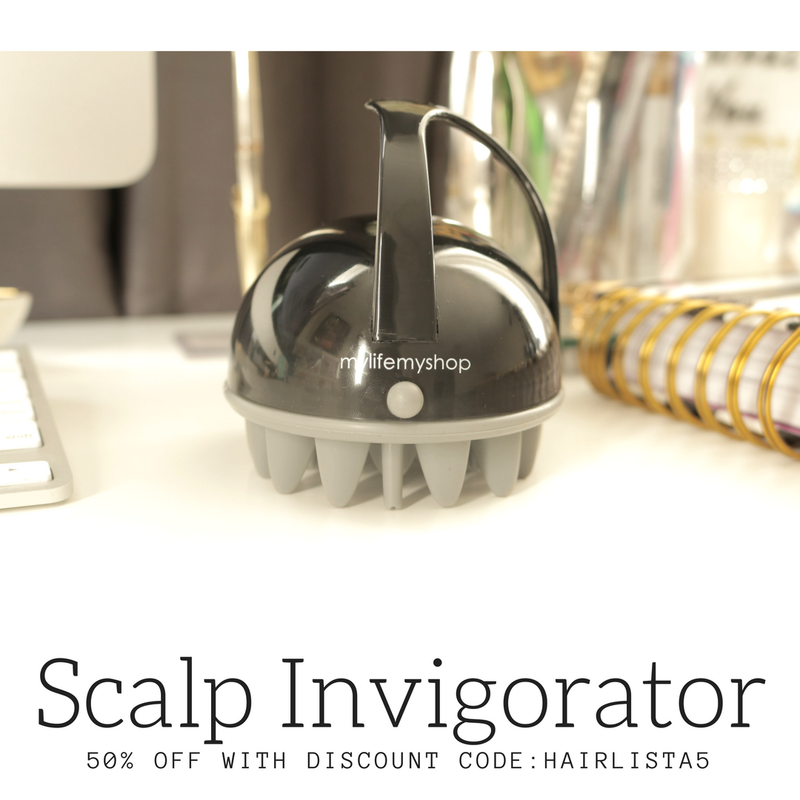 - Shampooing more often doesn't necessarily strip the hair of it's natural oils if it's a sulfate free shampoo- which is what I was using back then and now. Shampooing can be replaced with co-washing, just remember to clarify the hair a little more often. - I baggied maybe 3-4 days out of the week. If you do it too often then it can lead to mushy over moisturized hair. My hair rarely felt mushy because I did found out what worked for my hair. @ LaTonya Bynum - You got it hun! Pure Moisture was key in helping me retain length then. @ Alexis Allen - By slowly cutting out products (for example I had multiple co-washing conditioners - why? it was unnecessary. 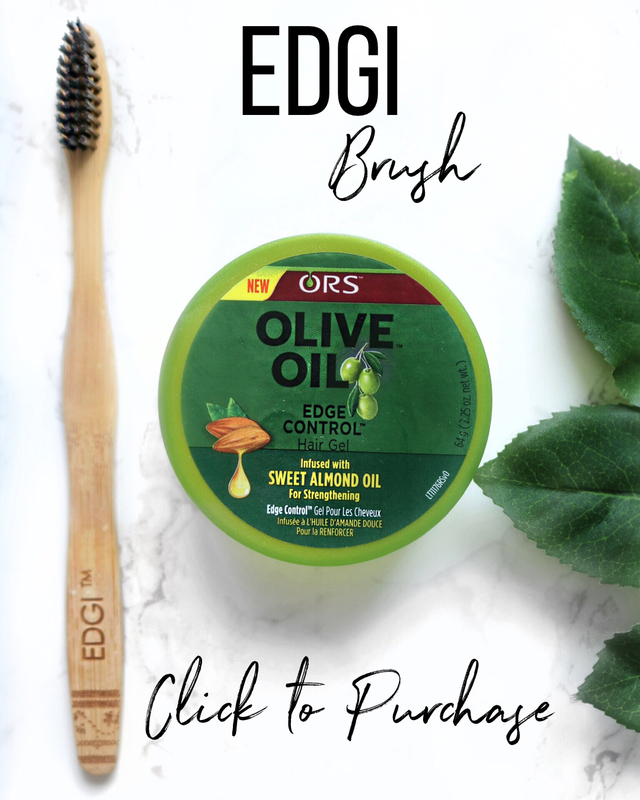 I just started to use the ones that REALLY worked well with my hair) and noticing that my hair remained healthy and continued to thrive, I didn't need every last product in my arsenal. It takes time to know what your hair really needs verse what you want. @ Anonymous - This is something that I noticed after reaching APL too. My hair needed more protein that's why I started to up my protein to once a week and ever since then my hair has been stronger and holding on to moisture better. I didn't have a problem with shedding. Increasing you protein will help decrease the shedding. Thanks! What shampoo did you and do you use? When you baggy, do you baggy the entire head or just ends? What was your regimen that made you get from APL to BSL? @ Alisha - I used to use Elasta QP & Creme of nature shampoo back then. I now use JBCO shampoo and Creme of nature argan oil shampoo. @ Jameelah - I baggy my entire head. @ Anonymous - Yes, your head is going to sweat when you whole head baggy overnight. 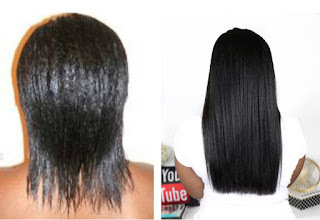 I suggest, you just baggy your ends overnight, and do the whole head for a couple hours when you're at home. @ Kirby - My regimen after I turned APL is the regimen you see up right now. Nothing has changed.